Fancy getting involved in Fresh Start’s new community growing space? Fresh Start is a charity helping people who have experienced homelessness make a home for themselves. In June, they launched a new project, Helping Hands, based in Craigmillar. 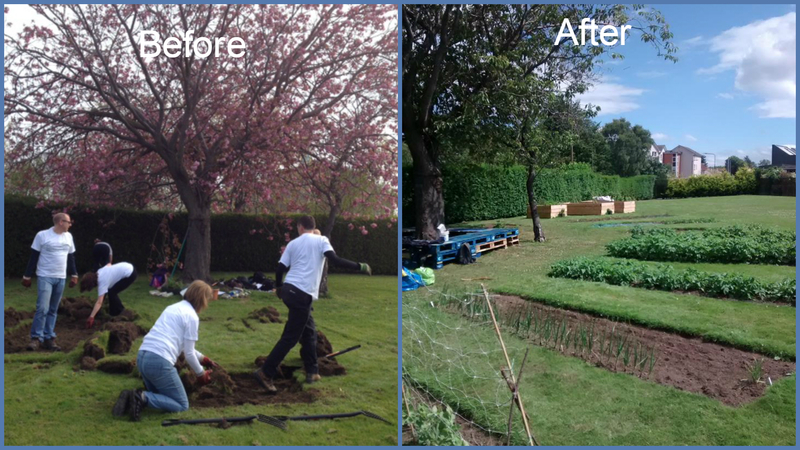 As part of that project, they are developing a community growing space near the Robin Chapel, where volunteers from the wider community work together to gain gardening skills, life skills, increase their social networks and access fresh food. This fresh food is also used in Fresh Start’s cooking classes which are run for clients. The space has several beds, raised beds and fruit bushes, and is producing lots of fresh produce. If you would like to get involved or find out further information, please contact Dan at Fresh Start at dan@freshstartweb.org.uk or call 07464 541 795, or visit the Fresh Start website for more information.